Italy and Greece are located along the Mediterranean Sea coast and can offer a variety of vacation experiences, including relaxing along the beaches, exploring the European countryside, drinking and dining in upscale restaurants, and absorbing historical art and architecture. Vacationing in Italy and Greece is best when you plan ahead, as there are several things to consider when traveling to Europe, including the type of vacation you want and time of year you will be traveling. Choose the type of vacation experience that you want. Both Italy and Greece have historical cities such as Rome and Athens, large beach resort areas, and wine and dining regions that can be explored. Deciding if you want a relaxing beach vacation versus an exciting art and history exploration will make a big difference in planning your trip to Italy and Greece. Research Italy and Greece. Learning about the different areas and attractions in Italy and Greece is a good way to get started on your trip planning. Frommer's offers detailed information on the sites and adventures that can be found in both countries. For example, in Italy you can attend mass in St. Peter's Basilica; visit Rome, Florence and Venice to explore famous and historical art; or visit the different dining regions of the country. In Greece, you can visit the Acropolis or Olympia, the location of the first Olympics. Consider the weather and time of year you will visit. If planning a relaxing trip to the beaches and waterfront areas of Italy and Greece, you will want to consider the time of year and temperature. 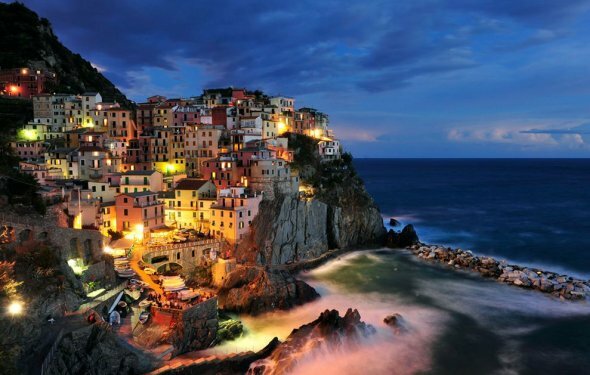 Frommer's recommends visiting both Italy and Greece between April and June or between September and late October, when temperatures are mild and there are fewer crowds. In summer, crowds overwhelm the popular areas and temperatures in the southern areas of Italy and Greece can be extremely hot. Make arrangements including hotel, airline and dining reservations and obtain local currency. Especially if you are traveling during peak season, hotels and restaurants can fill up fast. The euro is accepted in both Italy and Greece, and while you can find exchange desks at most hotels and near many tourist areas if you do not plan ahead, you might be able to obtain a better exchange rate by changing currency before you go. Learn a little of the language. While many locals in Italy and Greece can speak some English, it is appreciated when tourists know a few words to get by. Try learning "hello" and "thank you" in Italian and modern Greek. Keep in mind that if you decide to stray from the major cities and tourist areas, you might have difficulty communicating with locals. PROTECTION: Single-piece monoblock construction with Built-in 6A 250v safety fuse helps protect your products! Can I travel to Italy and Greece if I have a misdemeanor Dui conviction? Options would be: Train, plane or ferry.